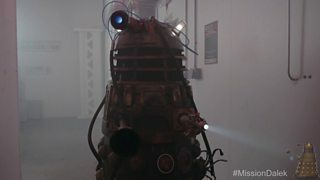 Would a Dalek bring your story to life? Would Missy make you smile? 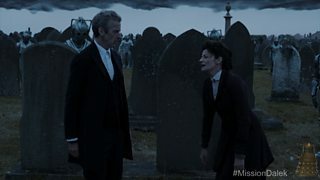 Does the Doctor dancing set the tone for your tale? If you would like to use material from the actual series, we’ve prepared some Asset Packs for you to download and enjoy! Clips, images and sounds, all to help bring your digital creation to life! Create a mash-up, use a monster, add a blast effect! It’s all here to augment your ideas and original content. But remember, you can ONLY use Doctor Who series material provided in these packs, and not from anywhere else. There’s a wealth of treasures for you to enjoy! Sound can really drive a story forward. 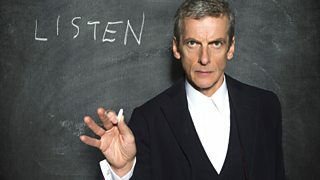 You can find more explosions, haunting music, the Doctor Who theme tune and some memorable lines from the Doctor in this handy Bonus Audio Pack! 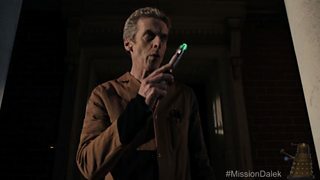 Download an extra selection of Bonus clips and images featuring more moments from the Doctor's adventures. Use and edit for your own digital story! Download a selection of dangerous Dalek clips, featuring the Doctor's deadliest foes at their most destructive! Use and edit for your own digital story! Your story is all about the Doctor - so download some clips of the universe's greatest Time Lord to use in your digital tale! Every Doctor Who story needs a TARDIS - there's no better way to adventure through Time and Space! 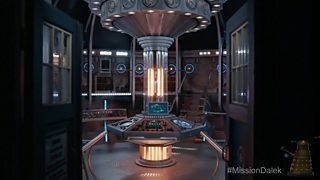 Download some TARDIS assets here! 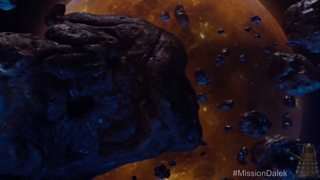 Missing monsters in your movie? Pining for a planet to play with? This asset pack will help you put some truly fantastic production value into your digital creation! 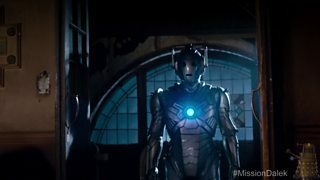 Your Mission Dalek idea will be ugraded... with these awesome Cyberman clips of the metal meanies at their most malevolent! Assimilate them into your story! 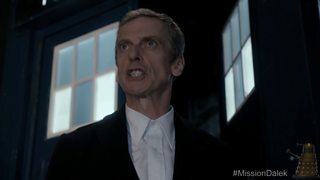 Is your digital creation Missy-ing the Doctor's nemesis? Download some of her finest moments here, for you to use and edit! 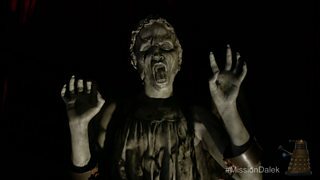 Want a Weeping Angel to make your digital creation blinking marvellous? Find a wealth of usable content here! A story needs to sound great, as well as look awesome! You can find the exterminations, exciting music, and explosions in this handy Audio Pack! 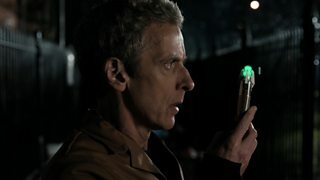 Enhance your Doctor Who digital creativity with this comprehensive pack of pics - use and edit to tell your tale!